7:00 p.m. | You’ve checked in to your hotel and you’re hungry. Real hungry. Steak hungry. May we suggest McKendick’s Steak House? Go medium rare, pair it with a full-bodied cabernet, and some good conversation (prompt: If you were a car, which car would you be? Go!). 9:00 p.m. | You’re full. Walk it off and head for a night cap down the road at Cafe Intermezzo. Enjoy a cup of coffee and a sweet crepe oozing with delicious Nutella. 10:00 p.m. | You have a busy day tomorrow. Shut the blinds, get that hotel room dark, turn on “Gone in Sixty Seconds” and slip off into dreams about being behind the wheel of a Porsche, Lamborghini, Ferrari, Bentley..ZzZz. 8:00 a.m. | Your push to start is coffee, so get some. Head over to Alon’s Bakery and Market for a delicious cup and some breakfast. Alon’s is a Dunwoody institution and a great place to pick up a gift for your spouse, your child, or your mechanic. 9:00 a.m. | Head to Woodhouse Day Spa for a massage. You won’t regret it. Who regrets getting a massage? 50 minutes is all it takes to achieve pure bliss. It’s like when you take your car for an oil change. You need this or you won’t function. 10:00 a.m. | It’s beautiful out. Head over to Dunwoody Nature Center to experience the best of our outdoors. 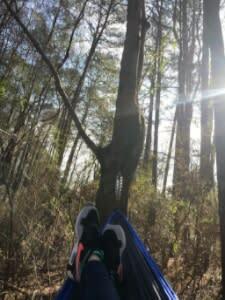 There’s hammocks. There’s hiking. There’s everything you need to spark your imagination. Work out. Nap. Read. Write a letter to your car. Tell her hi for us. 12:00 p.m. | Lunch. This meal often gets short shrift, but look, lunch is underrated. If you don’t eat it, by 2 p.m. you’ll be running on empty. 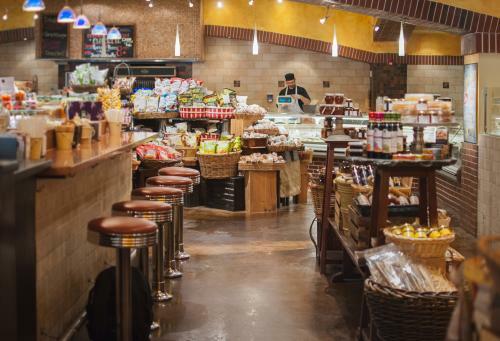 So head over to E. 48th Street Market and fill up with carbs. Or grab a salad. You have a full day ahead so don’t go too wild, easy rider. 1:30 p.m. | People make fun of speed-walking at the mall, but have you ever done it? Didn’t think so. 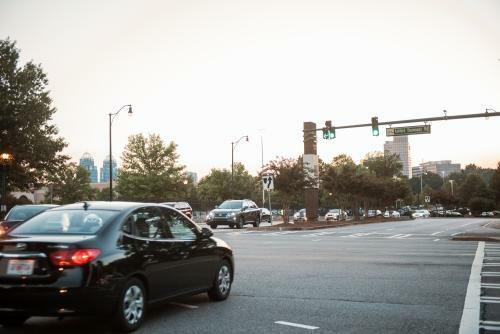 Anyway, walk at whatever pace you want and head to Perimeter Mall, the shopping utopia of the Southeast where you’ll find every store you’d ever want. Get a new bomber jacket at Nordstrom. Buy a gadget at the Apple Store. Slurp down a shake at Shake Shack (you ate light at lunch!). Speed walk to the next stop. 3:00 p.m. | It’s been an amazing day. Heaven on Earth, practically, and you’re probably thinking, “Can we get much higher?” Yes. 55 feet higher. No, we’re not talking about flying cars. We’re talking about TreeTop Quest. 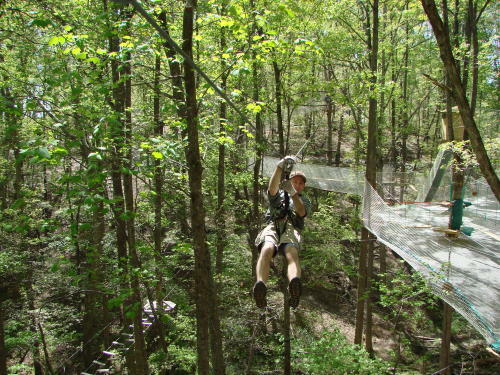 Zipline the length of a football field. Scream at the top of your lungs. Oh my gosh, you sound like Adele. OK, hello, we’re wasting time. Next stop. 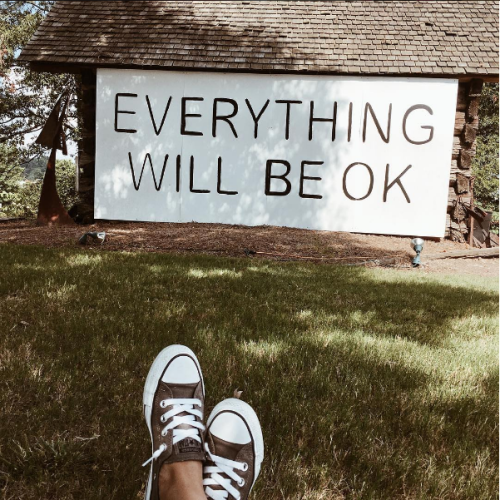 5:00 p.m. | You feel like you’ll never get to the finish line, but Everything Will Be OK once you take a picture with the Everything Will Be OK mural at Spruill Gallery. Post it on social. 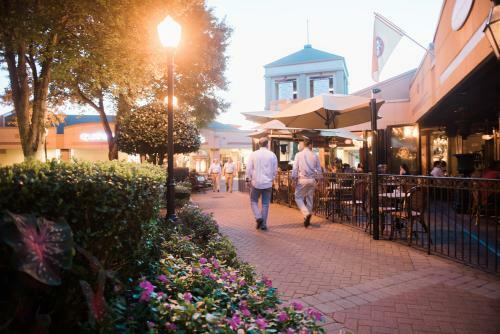 Tag @DiscoverDunwoody. We liked it. We’re friends. We call shotgun for our next stop. 6:00 p.m. | You parked the car back at the hotel and you’re ready for a pre-dinner cocktail. Head to Le Meridien and kick back at this stylish hotel with a Martini. Vodka. Shaken not stirred. Three olives. Yum. Three more olives. OK, we don’t mean to be a backseat driver, but please save some room for dinner. 7:30 p.m. | The energy at Eclipse di Luna will have you ready to walk 500 miles. Or you could drive. It’s a long way no matter how you slice it. But we digress, enjoy your meal of Spanish tapas in this festive environment with a Latin flair and a large bar with glowing red lights. But ignore the red lights, because we’re not ready to stop. 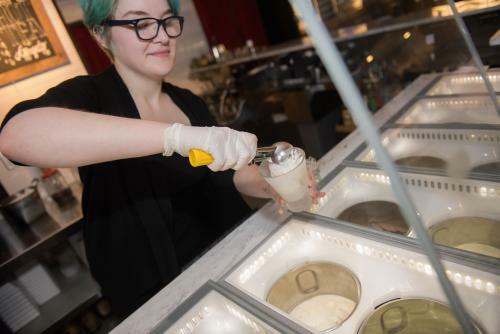 9:00 p.m. | Our last pit stop is Novo Cucino’s Gelato bar. Yes, it’s as magical as it sounds. It’s even better enjoyed on the restaurant patio with a cocktail. 10:00 p.m. | Just like we said, we have you back to your hotel by 10 p.m. Sure would be great if this hotel had a race car bed. 7:00 a.m. | Beep. Beep. That’s not your pager. It’s your alarm. Wake up. 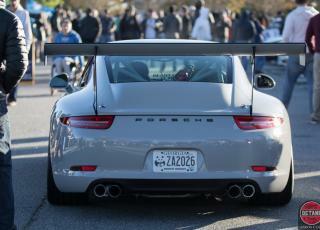 It all starts at 8:00 a.m.
8:00 a.m. - 11:00 a.m. | Caffeine + Octane! 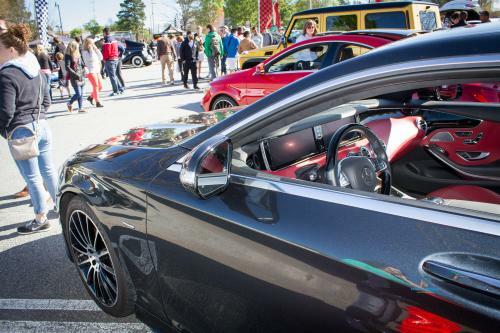 It’s the coolest car show in America and you have a blast meeting other car enthusiasts while you chat over coffee, souped up Ford T-Birds, Pontiac GTOs, and classic Ford Mustang convertibles. 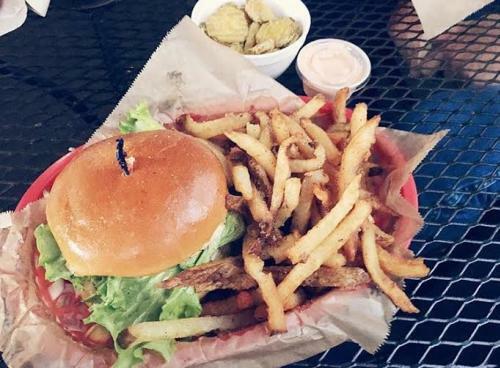 11:30 a.m. | You thought we were finished, but the race isn’t over until you eat at Village Burger. Go on. Make it a double and don&apos;t forget the seasoned fries. Now you’re fueled up for the ride home. 3:00 p.m. - 8:00 a.m. | You arrive home, start to unpack, and then... ZzZz. You sleep and sleep and sleep and dream about coming back to do it all again next month.